Bangladesh railway online ticket system is an awesome feature added by Bangladesh Railway couple of years ago at 29 June 2012. 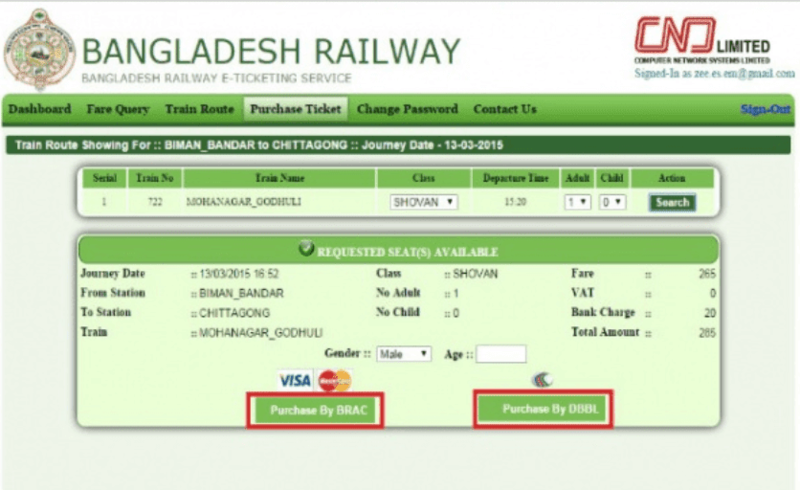 This ticket system is call as e ticket bd railway or 'Bangladesh Railway e Ticket'. In this post we will discuss in details how to purchase bd railway e ticket, where to buy, how to collect the printed ticket, how you will make payment, precautions you need to keep in mind to buy Bangladesh Railway online ticket and everything. Just keep reading with patience hope you will satisfied finally. At the end of this article we will show you step by step guideline how to buy an e Train ticket from online. Rocket - DBBL mobile Banking. For more check the official website. You have to purchase ticket 3 days before of your date of journey, I mean the scheduled train time. You will able to buy 4 (four) tickets using your same debit or credit card to a specific destination on a single day. You will be able to buy 4 tickets again on another day. You have to collect final ticket from the station finally using the online ticket purchase form printed copy. For details read the following steps. Now, you have to sign up that means you need to create an account ( free ) in this website with required information. To create an account just go to the right site of this website at top and click on sign up button. After creating an account just login to your account with the credentials you have created your account. Sometimes, it may show fail but don’t be disheartened just try and try. Now buy your ticket quickly with the available payment options you have. Then a secret code ( PIN ) will be sent to your mobile number. Please reserve this code. Now go to Railway Station and go to E-ticket counter and show your code number then the counter man will give your ticket. Moreover you have to carry the print copy the final ticket confirmation page. In various traditional festivals like eid ul Fitr, eid ul Azhar and so on people face a lo03t of suffering for collecting ticket to go to their home district. For this reason people feel so boring for the collection of ticket. So, to reduce this suffering and remove this boring moment, I am going to share a smart idea or way to buy ticket with an easiest process. 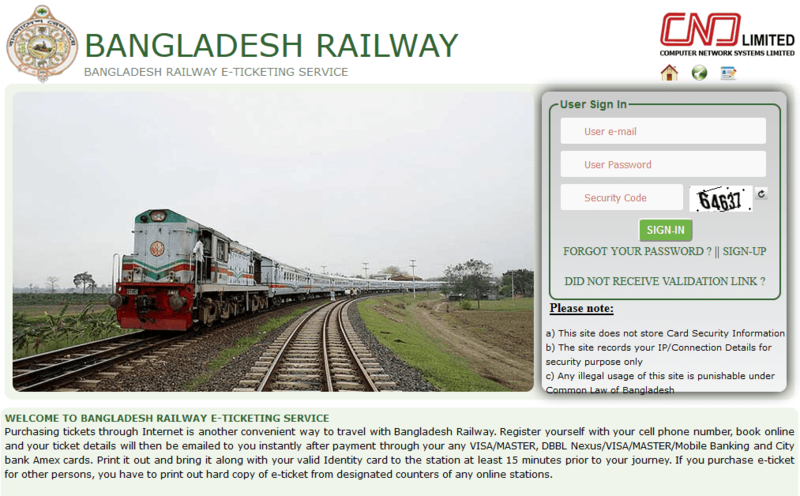 There are 10% reserved seat for Bangladesh Railway e ticket system and 15% for purchasing ticket from mobile which is awesome. 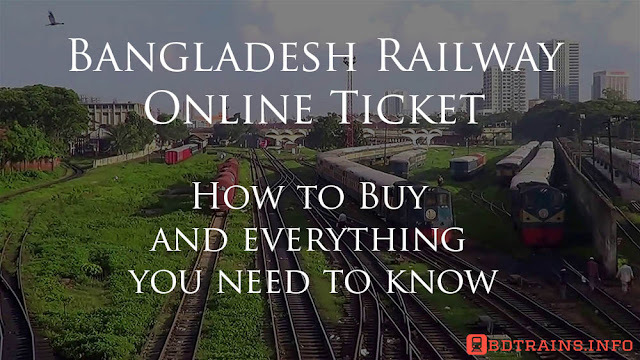 So buy Bangladesh railway e ticket online and enjoy your trip. Journey by train was never been as easier as now this days. Thanks.